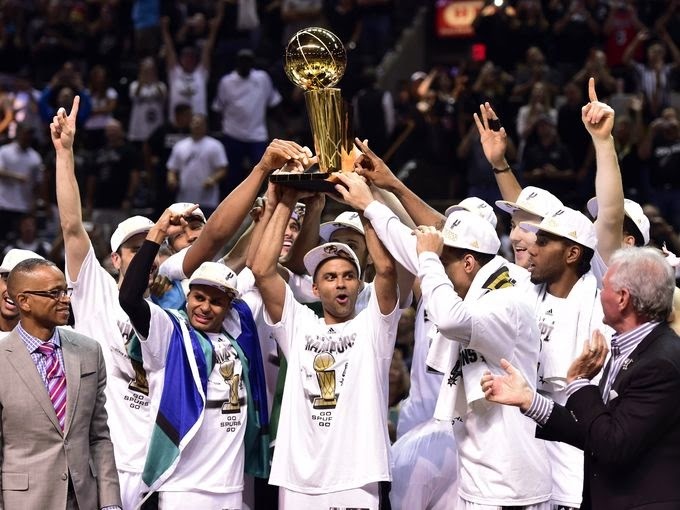 So not much has changed on the NBA landscape since the Spurs won their fifth title in 15 years back in June. Only LeBron James signed with the Cavaliers, then eventually brought Kevin Love to town as well. The Clippers got some new ownership, at a cool cost of $2 billion. Some free agency here, some free agency there and yet, everybody is chasing the Spurs. Who will win it all come June? It's time for my 2014-15 NBA predictions. Not much excitement here, eh? There may be an initial adjustment period with a coach (David Blatt) in his debut season as a head coach and a Big Three with two guys (Kevin Love and Kyrie Irving) never having played for a winner. That said, they do still get to feature the best player in the world in a Mr. LeBron James and will certainly have one of the most exciting offenses in the league. But can this club put together the new stars and the holdovers and deliver on a championship? We all know that for the Bulls to win the East, Derrick Rose is going to have to play like he did before tearing the ACL in his left knee in the 2012 NBA Playoffs. That said even if Rose isn't quite there, this club is going to be damn good, likely behind one of the deepest groups of big men in the league with Joakim Noah and Taj Gibson being joined by Pau Gasol and the talented Nikola Mirotic. And we know that Tom Thibodeau's defense is going to be excellent. Being without the talented, and young, shooting guard Bradley Beal for the first month or so will hurt but even then, this is a very good team that plays really well together. They also return virtually everyone from last season's team, save for small forward Trevor Ariza who will be replaced by Paul Pierce, who isn't the same player he was but he gives the Wizards a much-needed veteran presence. John Wall and Beal should be just as exciting in the backcourt, Nene and Marcin Gortat lead a quality frontcourt and they have more depth than they had a year ago. Should Randy Wittman get out of the way, they may just get to the Eastern Conference Finals. They may not have any individual stars but this is a balanced club that returns all the key pieces and lacks much in the way of weaknesses. Dwane Casey get the Raptors to play very good defense but they can also score when guards Kyle Lowry and DeMar DeRozan, both coming off excellent seasons, are clicking. The player that can be the difference in how good this team can be is the talented center Jonas Valanciunas, who has the skills but need to hone his game a little more defensively. Charlotte surprised many last year in riding a significantly improved defense under new coach Steve Clifford and excellent play from Al Jefferson down low. Now the renamed franchise hopes to take another step forward higher in the Eastern Conference and they hope to do so after the acquisition of the talented enigma that is Lance Stephenson. There is no question that Stephenson is a talented ballplayer, he does have his fair share of flaws. How he works alongside Kemba Walker, an aggressive player in his own right, will be key for this team as will the reconstructed jumpshot for Michael Kidd-Gilchrist. The Heat now have to move on without LeBron James and while they are no longer a championship club, they should still be a playoff team. Erik Spoelstra is an excellent coach, Dwyane Wade still can give his team some big plays and Chris Bosh, no longer the third wheel, may just excel even more now with more opportunities. Luol Deng was a fine signing and Josh McRoberts gives Miami some flexibility in their frontcourt, but this is a club that lacks depth. Atlanta may have had a very tumultuous offseason with controversy surrounding their ownership and general manager Danny Ferry but they still gave the top seeded Pacers all they could handle in the first round of the playoffs, as well as return their top player in Al Horford. Mike Budenholzer is basically a club focused on shooting threes and more threes and he has got the personnel to do it with a handful of sharpshooters, with the best being Kyle Korver. Paul Millsap was very good last year and he's shown some range with his jumper as well. They don't have great depth but their shooting and their frontcourt play should get them back to the postseason. After the shenanigans surrounding Jason Kidd and his eventual departure to Milwaukee, the Nets get a chance to move forward with new coach Lionel Hollins. Hollins will have to help improve an inconsistent Brooklyn defense and work with talented center Brook Lopez to help shed the "soft" label many peg him with. Deron Williams and his repaired ankles are going to have to run the offense after the departure of Shaun Livingston, and it will be interesting to see if Kevin Garnett can hold up at the four. That said Lopez is a very good offensive center, Joe Johnson is coming off a great year, many are high on Serbian rookie Bojan Bogdanovic and Mason Plumlee had a nice rookie campaign. They certainly aren't a playoff lock by any stretch but Hollins knows how to coach. The triangle is coming to Manhattan. With Phil Jackson running the show upstairs and neophyte head coach Derek Fisher running the show on the court, change and ideally continuity is coming to the Knicks. The future is bright but in the meantime, it's going to be a dogfight to get into the playoffs. Carmelo Anthony won't be the issue as he's got a new contract fresh off one of his finest seasons but while the offense, once they get used to the triangle (which isn't easy), may be all right, the defense will be a mess. Tyson Chandler wasn't healthy, or happy, last season but his departure will love a key defensive void that the current roster players, save for maybe Jason Smith, will struggle to fill. Jose Calderon should be an upgrade at the point but he can't defend anyone, putting more pressure on Iman Shumpert, who was awful a year ago. Even with mismatched parts and defensive issues, this may still be a playoff club. Virtually the entire roster returns from last year's mess in Auburn Hills but this time around, they've got themselves a damn good coach running the show. Stan Van Gundy's first task is going to have to figure out the Josh Smith-Greg Monroe forward mess and it looks like he's making the right call to bring Monroe off the bench. He'll have the opportunity to work with the very talented center in Andre Drummond, but he also has a shallow backcourt to work with as well. Brandon Jennings can be a knucklehead, which Van Gundy will love, and his game can be very inconsistent. They also overpaid Jodie Meeks to bring some shooting but he'll be out until December, meaning last year's first round pick Kentavious Caldwell-Pope to have to step up. Without Paul George after his brutal leg break at a USA Basketball scrimmage a couple months back, and also without Lance Stephenson after he left Naptown for the Queen City, this offense is truly going to be a mess without its two most dangerous players. Now the pressure will be on David West, who was big for them in the playoffs, and Roy Hibbert, who was a fiasco after the All-Star Break. Don't be surprised if Rodney Stuckey becomes their leading scorer, and that may be all you need to know. Even with a weaker wing corps, the defense will be strong again under Frank Vogel but this team may not average 90 points a game. Speaking of Jason Kidd, he may have weaseled himself into a more promising job here in Milwaukee. Second overall pick Jabari Parker may not have a defensive position but he certainly has an NBA ready offensive game, and he'll show that right away. The real excitement may come with the man affectionately known as the "Greek Freak," in Giannis Antetokounmpo, who showed a ton of versatility and promise in his rookie campaign. It will certainly be interesting to see a 6-11 guy in the backcourt, especially one as impossibly long as him. Brandon Knight is a solid point guard but will O.J. Mayo show anything this year after a disastrous 2013-14 campaign. There are some intriguing pieces in the frontcourt including Larry Sanders, if he has his head screwed on correctly, John Henson and Ersan Illysova. For third year coach Jacque Vaughn, this looks like the season where the Magic have to start showing some progress in their rebuilding process. Fortunately for them they've got some pieces I really like. Even though a backcourt of rookie Elfrid Payton and sophomore Victor Oladipo (who is out for a month with a facial fracture) will not be able to shoot, it should be tenacious on both sides of the court. Nikola Vucevic is a solid double-double guy at center, albeit one little more than that, and he'll be joined in the frontcourt by Channing Frye, who will bring some sorely-needed shooting. I really like rookie Aaron Gordon but his shot is nonexistent at this point even as he's incredibly athletic and really good defensively. There is some talent here but can Vaughn start to put piece together for a future winning squad? Let's face it, Rajon Rondo is essentially as good as gone. Having said that, this team is not going anywhere this season. They do have some players and some prospects that I do like such as rookies Marcus Smart and James Young and a coach I really like in Brad Stevens but this is a relatively inexperienced club that will struggle to shoot, especially if Avery Bradley doesn't shoot like he did a year ago. Big guys Kelly Olynyk and Jared Sullinger have shown some promise at times but if Boston wants to take a step forward, they'll need to have more than flashes. So yeah, this team will be lucky to win 20 games. Their strategy is clear and obvious and quite frankly, I don't have any problem with it given the state of the league today. First round picks Joel Embiid and Dario Saric aren't going to be factors this year, or in Saric's case multiple years, but both are also very talented. Michael Carter-Williams showed some game last year in a Rookie of the Year campaign, but he also chased a lot of stats on an awful club and cannot shoot worth a lick. He may indeed be trade bait. At least rookie Nerlens Noel may give the fans something to look forward to even with an atrocious roster. Is anybody going to San Antone and beating the Spurs? With everybody back and the great Gregg Popovich still pacing the sidelines, it's going to be tough to down San Antonio. However, they have never repeated as champions during their run and after a season marked by significant motivation based on how the previous season ended in the Finals, can they be just as motivated to win this go-around? But the loaded roster with a great mix of veterans and youth, with the rising Kawhi Leonard likely to take a bigger role going forward, will certainly be in the championship mix this spring. Much has changed for the Clippers since well, you remember. Well Steve Ballmer is now running the show and by what I've seen thus far, he may be my favorite owner already. He's got himself a pretty good team with Doc Rivers now running the organizational show with the excellent pairing of stars Chris Paul and Blake Griffin, the rugged defense of DeAndre Jordan, some perimeter action from Jamal Crawford and J.J. Redick and now a deeper frontcourt bench with the additions of Spencer Hawes and Epke Udoh. Could this be the Clippers team that finally breaks through? What will the Thunder look like the month or so that Kevin Durant is out with a broken foot? This is a club that has struggled offensively when Russell Westbrook has been out but now will have Westbrook running the show, which should be entertaining to say the least. Any team with a Durant-Westbrook-Serge Ibaka triumvirate, along with the solid Reggie Jackson off the pine, is always going to have a shot to get to the Finals but the same concerns that have hindered them before with a shallow bench and the unimaginative coaching of Scott Brooks, who enters this season very much on the hot seat. The Mark Jackson firing was not exactly the most popular decision the Warriors could have made but I do think they made a very nice hire in Steve Kerr, even as he lacks any coaching experience. What he doesn't lack is an exciting backcourt in Stephen Curry and Klay Thompson and on the whole a solid roster with the versatile Andre Igoudala and a quality frontcourt in David Lee and Andrew Bogut, should he be healthy. I'm not a big fan of Harrison Barnes but I really liked the Shaun Livingston signing as he enhances their versatility. There is a lot to like with this Golden State club and should Kerr push the right buttons, they may just sneak their way to the Western Conference Finals. Can Portland repeat what they accomplished a year ago when so many of their pieces had excellent years? Why not? Terry Stotts's offense fit this club really well and he has a potent duo of Damian Lillard and LaMarcus Aldridge, the very good Nicolas Batum, the underrated shooter Wesley Matthews and a solid Robin Lopez at center. That said, the concerns with the Blazers the past couple of seasons regarding their bench continue. I like Thomas Robinson but he can run hot and cold, and his offensive game isn't refined. Meyers Leonard is still raw and C.J. McCollum hasn't shown much. The starters are going to have to continue to define this team if the bench is lacking once again. Dallas just snuck into the playoffs a year ago but they should find some more comfort in their playoff positioning this season, and a key reason why are the acquisitions of Tyson Chandler and Chandler Parsons. Chandler is not quite as good as he was when he was last in Big D but should he be healthy, he will immediately upgrade the interior defense. Parsons is very versatile with a game I like a lot, and Rick Carlisle should be able to turn him into a useful defensive player. Monta Ellis performed well last season for the Mavs but once again, the ageless Dirk Nowitzki is going to lead things in North Texas. Few coaches are on as hot of a seat as Kevin McHale is on in Houston and rightfully so after a disappointing first round playoff exit this past spring. McHale has not shown himself to be that imaginative or creative and it looked like the Rockets were freestyling at times last year. James Harden is an excellent offensive player, and hilarious defensively (and not in a good way). Dwight Howard is still a great defensive player but he can only do so much with who he's playing with although the hope is that Trevor Ariza, coming off an excellent contract year in Washington, can help solidify the perimeter defense. Patrick Beverley also gives it defensively as he applies excellent pressure, but he doesn't bring that much offensively. The depth isn't that great but you never know with GM Daryl Morey, who did flub on both Carmelo Anthony and Chris Bosh this offseason. It's the same old song and dance in Memphis and quite frankly, it works. That tune is defense and few do it as well as Dave Joerger's club does it. The frontcourt with Zach Randolph and Marc Gasol is one of the finest in the league on both ends quite frankly, Tony Allen is a beast on the perimeter and Mike Conley gets it done at the point. But the same flaws for the Grizzlies remain as well, and that is their perimeter shooting and their overall wing play. Allen makes up for his offensive shortcomings on the defensive end but Courtney Lee is decent at best and Tayshaun Prince doesn't bring all that much anymore. The hope here is that the veteran Vince Carter and the rookie Jordan Adams can help their scoring from the wings. This should still be a playoff club, but that's about it. The Suns surprised everybody last year as they made a surprise playoff push before coming up just shy. Coach Jeff Hornacek ran the perfect scenario for his personnel in playing fast and he pledges to play even faster this season. Hence why the Suns shelled out some green for point guard Isaiah Thomas to join with Eric Bledsoe and Goran Dragic at guard. Gerald Green looked very good last year as well. The offense will be high-powered but they may miss Channing Frye and his floor-spacing as a big, and they are relatively thin up front anyways. They'll certainly be fun to watch this season but I don't think they've got enough to get into the playoffs. In Brian Shaw's debut season as a head coach, the Nuggets suffered through a ton of injuries en route to 21 less wins. They should be better with better health but I don't think they have the pieces to launch back into the playoffs. Ty Lawson excels when Denver is running and they have a bunch of guys that can shoot with Aaron Afflalo joining a healthy Danilo Gallinari, Randy Foye and Nate Robinson. I'm a big Kenneth Faried fan and he'll team with the inconsistent but hilarious JaVale McGee and Timofey Mosgov. The Nuggets should be fun to watch once again and they'll be tough at home but I'm not seeing where the defense will be coming from this club. The Pelicans disappointed last season after making the bold acquisitions of Jrue Holiday and Tyreke Evans and while their lineup did show promise at times, they also struggled to stay healthy. I don't think they're quite there as a playoff club, even as I liked the trade to acquire Omer Asik, but it certainly doesn't hurt to have a rising star like Anthony Davis to build around. And the crazy thing is that he's only going to get better. Tyreke Evans is what he is as a player and Eric Gordon has not been worthy of his contract to this point, plus the bench is not very deep beyond Ryan Anderson. Expectations have been raised so it may just be time for Monty Williams to finally deliver. Sactown is going to be a Boogie Wonderland this season. DeMarcus Cousins was awesome last year and after a star-turn at the FIBA World Championships this summer, his rise is not finished just yet. Beyond him though Kings still have a mess of a roster. They clearly downgraded at point guard from Isaiah Thomas to Darren Collison, they drafted a shooting guard (Nik Stauskas) one year after drafting another one (Ben McLemore), Rudy Gay is talented but has yet to put it all together and they don't have much to work with at the four. But hey, it's the Kings! The Lakers are going to be a hot mess this year. With Steve Nash out for the season, the Lakers don't have the kind of table-setter at the point as Jeremy Lin is more suited to be a scorer off the pine. Kobe Bryant is mad as hell but he also hasn't played all that much in two years. Nobody on this club is going to play much defense, not that Byron Scott has coached much defense in his last couple of stops as a coach either. But in terms of a positive, I really like rookie power forward Julius Randle and he should find some run ahead of Carlos Boozer. After the Kevin Love trade, this is now a franchise with a glutton of wing guys. The newly acquired Andrew Wiggins and Anthony Bennett, also with the questionable trade for Thaddeus Young, will join raw rookie Zach LaVine and holdovers Kevin Martin, Corey Brewer and Shabazz Muhammed. This is a key year for point guard Ricky Rubio as he has shown flashes of exciting playmaking ability, but his jumper is a fiasco and his defense is meh at best. Nikola Pekovic is a rock down low but the Wolves are going to have to find playing time for Gorgui Dieng, who showed a lot of game down the stretch. Minnesota isn't going anywhere this season, so let's marvel on how odd it is that Flip Saunders has accumulated the amount of power that he has in the Twin Cities. Quin Snyder should be an intriguing fit with this Jazz roster as he has the background to help develop the many young guys that dot this roster. But the problem with this roster is that they have a bunch of nice guys, but no developing stars. The one guy that could be that is Dante Exum but nobody knows what to expect out of him in either direction. Trey Burke had a nice rookie year but he could be a guy at his peak already. I do like Gordon Hayward but he struggled as the focal guy last year as it wasn't his fit. Derrick Favors and Enes Kanter have shown promise but it remains to be seen if they can play together. In all likelihood, this is going to be a Nets squad that will be just happy to get to the playoffs, quite frankly. They lack the offensive firepower to to engage in a shootout with the Cavs, nor do they have the defensive corps to grind out a series win. The Hawks may be able to shoot the lights out when they get hot, but this Bulls team is a poor matchup for them to pull the upset. Chicago advances rather easily. The Heat are coming off four straight Finals appearance but I have a feeling that this club post-LeBron James are not going to make it five. Washington is a deeper team with a stronger and more balanced starting five, and now after last season, they have the experience to get it done once again. Both of these clubs fell in the first round of the playoffs a year ago, therefore one of them will do so for the second year in a row. There's a lot to like about this Hornets club but I do still think that the Raptors, even without a star, have the deeper and more well-rounded ball club. 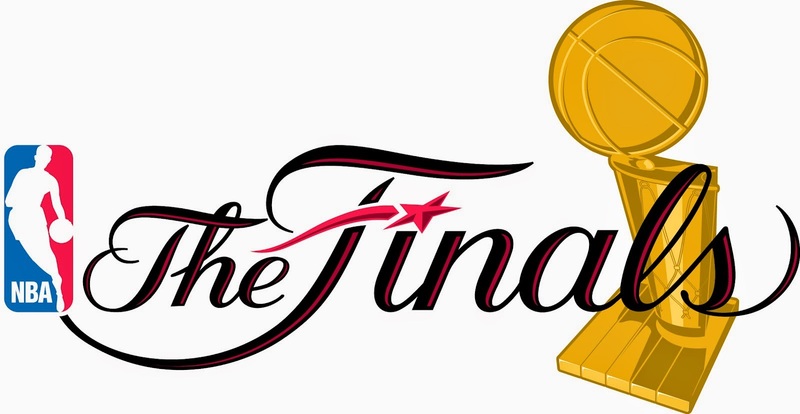 It'll be a good series but they will advance. Could this Grizzlies team pull a repeat of 2011 when they as the eighth seed upset the top seeded Spurs? I don't see it happening but hey, they'll grab a game. The Rockets certainly have talent, nobody can disagree with that. But the jury is still out on Kevin McHale as a coach, to say the least, and his teams have played with virtually no structure. A Doc Rivers team will certainly take advantage of that here. This can be a fun one. The Thunder certainly have the stars, but the Mavericks have more depth, as well as a star in their own right in Dirk Nowitzki. I'm feeling the upset here and I like the Mavs to pull it off. I hope you like offense because both of these teams are going to bring it on a platter. I really like Portland's starting five but of these two teams, there is no question that the Warriors have more depth, and their starting five is not that shabby in their own right. The Raptors may give the Cavs a slight push in the conference semis, but not enough of one to seriously contend to pull off the upset. Washington's strong and balanced starting five makes them a legitimate contender to get to the Eastern Conference Finals, and they can take out the Bulls if Chicago is caught napping. I don't think that'll happen as I think Chicago's defense will grind the Wizards down. The Spurs have had to endure tough challenges seemingly every championship run in the Western Conference, and I think the Warriors will give them a tight battle. They can score with the Spurs and their defense is underrated. However, competing with the Spurs and taking out the Spurs is a different task. The Clippers have struggled to break through this barrier these past few years of the Chris Paul era with the Clippers, but this is their time to get to the WCF. Dallas will make it a fun show to watch but the Clippers will advance. This is the Eastern Conference Finals matchup everybody wants to see, and it won't be easy for LeBron James, Kevin Love, Kyrie Irving and the Cavs. Nobody plays finer defense than the Bulls, they have the deeper frontcourt and they have a star in their own right in Derrick Rose. That said, I think Cleveland will get it done. I discussed the Clippers breaking through the barrier but for them, getting to the Finals will be a significant achievement. They can do, but I'm not sold whether they are ready to take out this San Antonio team. Ah yes, a rematch of the NBA Finals, and also the third straight LeBron James-Spurs showdown in the Finals. Cleveland has the players and certainly the talent to win it all, but I do think when the Spurs are clicking and hitting on the right notes, nobody can beat them. They may not have the motivation that they had a year ago, but they will get it done once again.